Value is one of those terms better understood outside business than inside. Any household bill payer knows the difference between good and bad value. Most of us have a keen sense of whether goods are priced fairly or not. But step into the corporate world, and suddenly the term goes wobbly. There is shareholder value, but also stakeholder value; there is not one bottom line but multiple ones; there is intangible value and the value of potential synergies, which bump up acquisition prices before frequently turning to dust. When Warren Buffett talks of “value investing” he is talking about buying great companies at good prices, rather than investing on the basis of all the other mind-bending signals and stimuli in the markets. What managers need to do is block out the noise and return to a simpler, less confusing idea of value. At its most basic, the value of a business is the sum of the present value of its future expected cash flows. But as anyone who has ever tried to build a discounted cash flow model can attest, bankers and corporate finance professors could dance on the head of this one intellectual pin for eternity. How do you price risk? Do different cash flows carry different levels of risk? How do you know what the future really holds? So, managing for value has to mean something more specific. Three management consultants at McKinsey – Tim Koller, Richard Dobbs and Bill Huyett – grapple with this in a new book, Value: The Four Cornerstones of Corporate Finance. This is definitely one best read in a hard chair with a sharp pencil as it marches the reader through the very practical issues that affect value: from the nature of owners and investors to the behaviour of the stock market, good and bad ways to divest and acquire, all the way to risk management and investor communications. The four cornerstones are uncontroversial. The first is “the core of value”, the fact that companies create value by investing capital to generate future cash flows at higher rates of return than the cost of capital. The second is the “conservation of value” – companies create value by generating higher cash flows, not by rejigging the capital structure. The third is “the expectations treadmill”. Expectations drive a company’s stock price as well as its actual performance, so the higher your expectations, the faster you must run to keep up. The fourth is that the value of a business depends on who is managing it and the strategy they pursue, the “best owner” cornerstone. I asked Mr Koller why these points even need to be made. Surely, the prospective audience of this book – senior managers, chief executives and chief financial officers – know all this? “CEOs and CFOs are often influenced by noise rather than reason,” he says. The book serves as a helpful reminder of what matters and is intended to “convince companies to be more thoughtful when they listen to investors”. It is also a prop for those who think they understand value when they are asked to explain what they mean. There are, Mr Koller continues, good and bad investors. The good ones are focused on long-term value. They do not twitch in response to every crumb of news flashing by on their Bloomberg terminal. Instead, they think about value in terms of the four cornerstones. Do we have the best managers and owners in place? Are they pursuing the right strategy? And are they producing returns that exceed our cost of capital and will they continue to do so? If so, over time the value of our investment will be properly priced, regardless of any fleeting swoons and spasms exhibited by the markets. But it is not just investors who need to understand value. A manager whose performance is being measured by his company’s share price needs to know what makes that share price move and whether it is a fair measure. Peter Löscher, chief executive of Siemens, is now in the process of unlocking the value of his company after 10 years in which managers have been trying to turn the company round. After a decade in which Siemens’ share price barely moved, investors are now bubbling with expectation and the price is rising accordingly. Mr Löscher and his predecessors were not rewarded by the markets while their overhaul of the company was going on. It is only happening now that Siemens is fixed and ready to grow. Recognition of value is not a linear process. The manager sees it one day, everyone else the next. Mr Koller says a misunderstanding of value is leading many companies to be “recklessly cautious”. They are so focused on today’s earnings per share, and frozen by the fear of punishment by the stock market if that number drops, they are passing up terrific opportunities to create long-term value. It is not just individual managers and companies that suffer when this condition takes hold, but entire economies now hankering for growth. Imagine a couple goes in to see a doctor who tells them their child will be born with a genetic disorder. It is mid-morning and when they emerge from their consultation, they see a row of parents bouncing their healthy children on their laps. The emotional shock they have just experienced with the doctor will now be compounded by feelings of appalling unfairness. Why us? While the genetic test results cannot be changed, the process by which prospective parents are informed could be. The couple could be asked in to the clinic in the early morning or evening, when there are no other patients around. They could be shown out through a side door, so they don’t have to see babies right after they receive their bad news. It is not just doctors’ offices that could find ways to improve the process by which they handle emotions. Airlines dealing with delayed passengers, insurance companies dealing with traumatised claimants, management consultants explaining their bill could all benefit from a better understanding of the emotional peaks and troughs experienced by their customers. In Designing the Soft Side of Customer Service, a paper recently published in the MIT Sloan Management Review, Sriram Dasu and Richard Chase of the Marshall School of Business at the University of Southern California argue that emotions are too rarely included in operations design. Let’s say you have bought a laptop and within the first month of owning it, it fails three times. Your third call will be a more emotionally intense call than your first. But will the laptop manufacturer assign a more seasoned service agent to deal with you? Or will you simply be led through the same complaint process you experienced with your first call? In the paper, the profs say that companies should design “emotion prints” of the customer experience and tailor their processes accordingly. Emotions are far more predictable and manageable than many operations managers believe. You do not need heroic individuals with extraordinary levels of emotional intelligence to make dramatic interventions. Rather, the process can be designed more like a factory line, with variables that can be managed and measured. One advantage of this approach is that it takes broad intentions such as improving customer service and makes the process detailed and actionable. You do not need to train all employees in the same way. Rather you can identify the emotions they most frequently deal with and train them to deal with those. For example, explains Prof Dasu, bellboys and concierges are trained to display an “attitude of invitation”. This is what matters most when guests arrive. Similarly, a few US sports teams are now training everyone from the ticket-taker to the hot dog vendor to welcome customers as if they were welcoming them into their home. Fans come to games excited and stadium employees should find ways to deliver service that recognises that mood. The professors focus on designing for emotions, trust and control. The first step means crafting that emotion print and allocating resources to deal with customers at the emotional high and low points of their interaction with you. Designing for trust is about trying to create the best environment for doing business. This is the silver bullet for managing customer relationships. A trusting customer believes you have their best interests at heart. One who mistrusts you will constantly be demanding explanations and price reductions and making life a misery. Trust evens out the emotional volatility in any relationship. Designing for control is closely linked to designing for trust. People will accept less control over a process if they trust you. But you can also manage those feelings of control. FedEx does it by allowing you to track your packages. You cannot make it move faster, but by letting you know where the parcel is, FedEx is assuring you it is delivering on its promise. Setting and then meeting deadline expectations is a simple way to create feelings of trust and control. Designing for control also lets people manage their own emotions. When the stock market is down, you can decide whether to look at your investment portfolio. Imagine how different it would be if every week, your investment manager had to call you and explain his performance. But they will wish someone had the moment customers gravitate to competitors that treat them as emotional rather than purely rational or financial beings. A feature I wrote in The Financial Times 11/3/10 about new innovation models in mobile. Bob Ianucci, the former chief technology officer at Nokia, used to give a talk about the evolutionary patterns in the technology industry called “I’ve seen this movie before”. In it he described how every big technological change, from mainframes to minicomputers to PCs, had followed the same path. PCs, for example, began with several companies – Apple, Commodore, Wang and others – offering their own incompatible hardware and software. Then a standard platform emerged in IBM. Compatible hardware followed – Dell, Hewlett-Packard, Intel and Compaq – before the value shifted to software – Microsoft – and finally to services and companies such as IBM, EDS andOracle. This pattern appears to be unfolding again in mobile phone technology. First, we had an array of separate systems. Now a platform war is being waged, most aggressively between Google’s Android and Apple’s iPhone operating systems. Last month, Steve Jobs lashed into Android saying “we think Android is very, very fragmented and getting more fragmented by the day”. Nokia is pitching in with new phones powered by its revamped Symbian OS, and Research in Motion’s BlackBerry OS is another potent rival. But already we are seeing hardware makers and the developers of software and mobile services circling this piranha tank, trying to decide which platforms will thrive or die, and which to invest in. The difference between the history of mobile technology and PCs is the pace of the change. Product development cycles are now faster than traditional corporate innovation structures seem able to cope with. And while some, such as Apple and Google, seem comfortable with the speed of change, others such as Nokia and RIM are criticised for playing innovation catch-up with the Silicon Valley swells. As a percentage of revenue, Nokia spent four times as much as Apple on research and development last year, and yet it has no market-changing products to show for it. Companies that try to compete on features or performance, Prof Verganti says, only briefly have an edge before everyone else catches up. Moreover, consumers are not that interested in the features that might excite an internal research lab. When RIM came up with the BlackBerry, it perceived that what many users most wanted from their phones was e-mail, and they could happily do without the rest of the OS software. Apple was not the first to make an MP3 player, but the good-looking iPod combined with iTunes removed the whiff of illegality around music downloads. Apple was similarly the first to make sense of touchscreen technology with its iPhone. It was more than a gimmick: it changed how people thought of their phones. Apple’s edge, says Prof Verganti, stems from Steve Jobs’ experience in the entertainment industry. As the founder of Pixar, when he returned to Apple in 1996 he came at the music, movie and gaming industries as an insider. By being able to interpret the world beyond computers, he could arrange the puzzle of content and technology more successfully than many. Nokia has tried to break its closed innovation loop by using ethnographers to observe how people use their mobile phones. In Africa they found people trading in calling card minutes, which could be redeemed for cash as a basic kind of banking. In India, they discovered servants were using their mobile phones to find new employers, thereby freeing them from indentured servitude. Such findings have helped Nokia think about innovative ways of serving huge numbers of customers in emerging markets. Eric von Hippel, professor of technological innovation at the MIT Sloan School of Management, says a technology company should divide its re search and innovation tasks “into those it can solve internally and those that can most effectively be solved outside”. The ones that can be solved within are “dimension-of-merit” im provements such as better screen resolution, ergonomics or interface des ign. Those that must be solved outside are those that involve new customer needs. In 2007, for example, when Apple first released the iPhone, thousands of users decided to “jail-break” the software in order to customise it. Prof von Hippel says this prompted Steve Jobs to release a software developer kit, which in turn led to the explosion of the App Store. Apple was forced by outside events to open up its platform, although it remains controlled. “Senior managers have to recognise that the innovation system has to be fundamentally reworked,” says Prof von Hippel. “It’s not a matter of tweaking. There is a fundamental new paradigm out there.” This new model was created by falling design and communication costs, which have en abled more people to be part of the process. Prof von Hippel says managers need to venture out to the leading edges of their market and engage with users. He calls it “democratising innovation”. Prof Verganti agrees, saying technology companies must listen to “interpreters” – individuals in side and outside the company capable of un derstanding cultural and social forces beyond the immediate world of technology. These are not traditional market researchers, but people from other industries and professions who look at what you are doing with fresh eyes. Few companies could use an innovation boost more than Nokia. Ari Hakkarainen, a former marketing executive at Nokia, says the company remains a serious business, selling more than 400m phones, from high- to low-end devices depending on the market. In order to avoid becoming just a low-cost competitor, however, it is trying pull off the trick of innovating without upsetting existing customers and profitable lines. In September, the company replaced Olli-Pekka Kallasvuo, its chief executive, with Stephen Elop from Microsoft. While Mr Elop finds his feet, Nokia lacks a powerful CEO, in the mould of Mr Jobs or RIM’s Mike Lazaridis, who can establish a vision and impose it on an organisation. “You need a strong leader to make these kinds of innovations become reality,” Mr Hakkarainen says. There is hope. With Apple entrenched at the high end of the mobile phone market, both Mr Hakkarainen and Prof von Hippel see a huge opportunity for Nokia innovating in emerging markets. What Apple does, he says, “is identify a vision, then assemble the right team to pull that off”. Such focus on a handful of products and highly tailored processes in marketing and distribution, such as the Apple Stores, is a contrast to companies where “top managers want to to be focused on new business units, but don’t have time, yet refuse to cede authority” – so they end up “with one foot on the dock, one foot in the boat”. Rather than reorganising existing assets to try to come up with a new vision, Prof Hargadon says, technology companies must have the vision and then assemble the assets needed from outside and inside in order to make it real. 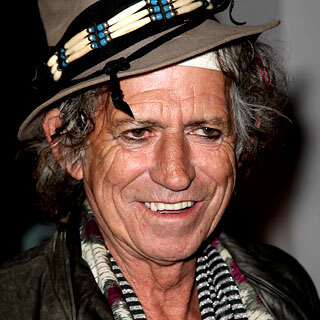 In his autobiography, Life, Keith Richards describes three phases in the management of the Rolling Stones. The first was when the band was struggling to escape the scrum of other boy bands that sprang up in the wake of The Beatles in the early 1960s. For this, they hired Andrew Oldham, an oddity of the London music scene, who lived with his mother and was driven around town in a Chevrolet Impala by a thuggish East Ender called Ray. Ray was not above extreme physical violence towards those who crossed Oldham or his clients. Oldham had worked for The Beatles but had been fired after a disagreement with their manager, Brian Epstein. The Stones were his revenge. At first, he tried to make them Beatles copycats, dressing them in matching jackets and giving them similar floppy haircuts. But when the Stones chafed, Oldham, in Richards’ words, “suddenly saw the beauty of opposites”. He realised his opportunity lay in making them the anti-Beatles. While The Beatles were clean cut, respectable and cute, the Stones were dirty, snarling and mean. They were the boys that parents didn’t want their daughters bringing home. Oldham also told the Stones that if they kept on just performing covers of American songs, their popularity would be limited. So one weekend, he locked Mick Jagger and Richards up in a kitchen in Willesden and said: “Come out with a song.” After a sleepless night, they emerged with “As Tears Go By”, which became a hit for Marianne Faithfull. Jagger and Richards had discovered that they were capable of writing their own songs and, more importantly, that they enjoyed it. To reach the next level, however, the Stones hired Allen Klein, a wily lawyer who took their fight to the record companies. In 1965, Klein renegotiated the Stones’ contract with Decca Records. He advised the band to come to the meeting wearing sunglasses and stand at the back of the room saying nothing. He would do the talking. The result was a deal bigger than The Beatles’. The Stones discovered the real cost of this years later when they found that, for all their success, they were broke and Klein owned the rights to most of their music. Salvation came from the most unlikely quarter: Prince Rupert Lowenstein, a European aristocrat and private banker. Unlike Oldham and Klein, Lowenstein had no roots in the music business. He was also a devout Roman Catholic, with no interest in sharing the Stones’ arch-bohemian life. But he rescued the Stones from financial ruin. Lowenstein professionalised the management of the band. He established separate companies in the Netherlands to manage its various businesses, such as publishing, merchandising, touring and so on. He arranged for a global network of lawyers to manage the personal and business affairs of the band’s members. He was the antithesis of the rock ’n’ roll manager but, under his stewardship, the band became one of the richest in history. Managing creative people is difficult, not just because creativity is rare and the people who possess it chafe at being managed but because establishing a market for creative work is one of the hardest things to do in business. Venture capitalists know this when they install seasoned executives to guide young founders; Eric Schmidt at Google, for example, and Sheryl Sandberg at Facebook. Similarly, Hollywood will often pair a hard-headed business type with a creative genius. Steven Spielberg’s career took off under the guidance of Sid Sheinberg, a fierce lawyer who ran MCA/Universal. And book publishing’s best-known agent, Andrew Wylie, is nicknamed “the Jackal” for his aggression and tenacity on behalf of clients.